Designed For More Unleashing Christ’s Vision For Unity in a Deeply Divided World by Lucas Ramirez with Mike Devito from Hachette Book Group. Even among followers of Christ, God’s great story of reconciliation is being crippled because of messengers of that story are unreconciled. But God designed us for so much more. Thankfully, he has hidden incredible lessons in nature to help solve complex human problems. 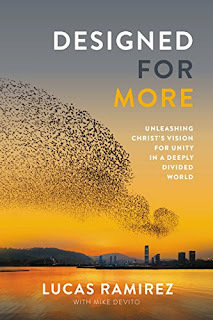 Designed for more draws groundbreaking implications of how to achieve unity and collective movement through new research on the jaw-dropping phenomenon of flocking starlings known as a murmurmation. This marvel is one of nature’s most spectacular sites imagine hundreds of thousands of birds in motion, caressing the sky like a brush on a campus. It is a beautiful madness that is completely ordered. 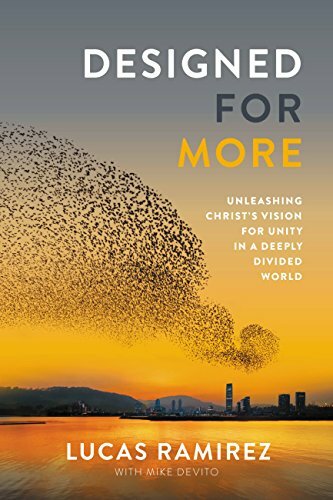 In this book, the authors unveil the power of murmurmation principles in order to inspire unity in individuals and the church as a whole. Birds first taught us to fly, and now they will teach us to unify! My Opinion: this book taught me so much as sometimes you get stuck in your own little bubble I guess you could call it and you forget about others around you because your bubble is comfortable. But we were born to do more than just be selfish and stay within ourselves we are here to help others and we got to start doing that more this book was very helpful to remind me about that.